Green Globe member, The Dylan Amsterdam, is a luxury boutique hotel located within an historic building in The Netherlands. The Van Campen’s Doorway (or ornamental arch at the front of the hotel) was originally constructed in 1632. The current location of The Dylan Amsterdam (Keizersgracht 384) was once the site of the first theatre established in Amsterdam. The theatre opened with an iconic Shakespearian play Gijsbreght van Aemstel on 3 January 1637 written by Joost van den Vondel, considered the most prominent Dutch poet and playwright of the 17th century. The play is the Dutch version of the Trojan horse and tells the story of the end of medieval Amsterdam which ushered in the Dutch Golden Age. In January this year, Gijsbreght van Aemstel was brought back to life in its original location. The play is traditionally performed each year in the first week of January in one of Amsterdam’s principal theatres, but due to subsidy cuts was cancelled in 1983. It’s the longest running theatre tradition to date in the western world. This year the play was performed twice a week at the hotel with tickets selling out quickly. Next January 2019, the play will be performed over four days to meet the expected demand. This is a non-profit initiative to keep an important part of Amsterdam and Dutch cultural history alive and provides an opportunity for The Dylan to connect with neighbours and the local community amidst resistance against over tourism in the Amsterdam area. 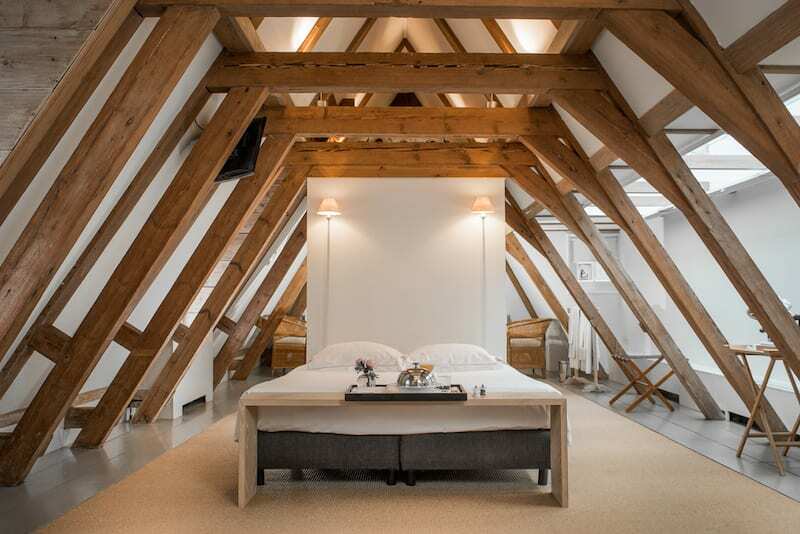 The Dylan upholds a fine balance between the preservation of cultural heritage in Amsterdam whilst implementing new green standards that will take the property forward into the future. Situated in a former 18th century bakery, the refined dishes created in the Michelin starred Vinkeles restaurant feature high quality sustainable products while kitchens also prefer local, seasonal and organic products. Earth Water is served in the restaurant, in minibars and the fitness room where 100% of the net profit is donated to finance water projects. In addition, complimentary water in guest rooms is bottled on location. The Dylan is committed to minimizing environmental impacts and regularly monitors consumption of gas, electricity and water along with GHG emissions in line with its sustainability management plan. Energy saving measures at the property include the changeover of 70% of all lighting to LEDs and installation of high efficiency hot water boilers. Waste reduction actions include paperless check-ins and the use of eco-labeled paper products sourced from sustainable forests in offices, guest rooms and public areas.